With three decades and still counting, Yemi Solade is no doubt one of the leading thespians among his contemporaries as far as the Nigeria movie industry is concerned. Ironically, acting, which has earned Yemi some measure of fame and fortune, was actually an afterthought. His childhood dream was to become a lawyer and he gave it a shot at the University of Ife (now OAU). But one thing led to another, and he ended up in the Dramatic Arts Department of the institution. 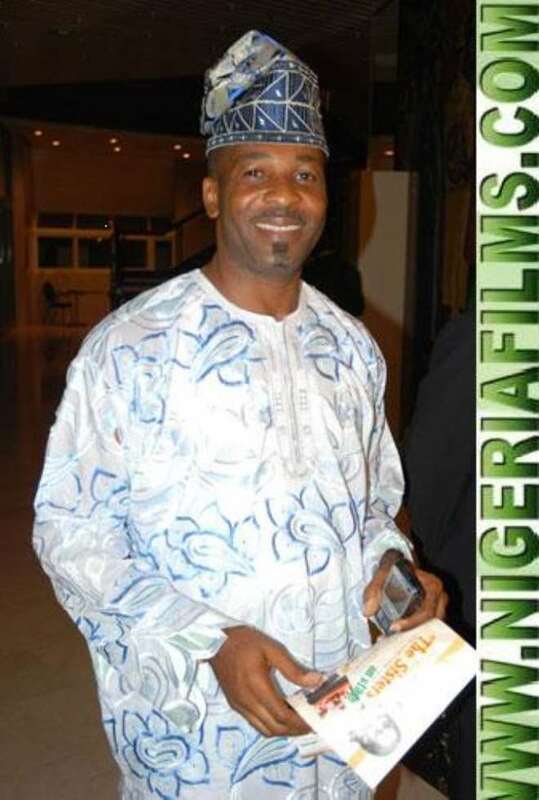 In an exclusive interview, the Ogun State-born actor said he has no regret dumping Law for the make-believe world. "Fulfillment is a relative term here. I have no regret dumping Law for theatre. At the time, Professor Wole Soyinka was still at University of Ife, and he was the Head of Department of Dramatic Arts. So I was more interested in learning from him. Being an actor has given me great satisfaction. If I had been a lawyer, I would probably have become one loud-mouthed, articulate lawyer. And if I were in the ministry, having put in 30 years, I would probably be a director by now and preparing to retire; but in acting, there is no retiring. I would act till I drop dead,” he said. However, unlike in the past, when his face was virtually everywhere, Yemi seems to be missing in action these days except for one or two flicks occasionally. He said the reason his fans have not been seeing him in movies these days is because of the falling standards in the industry. According to him, the industry which he and others had laboured to build in the last 30 years is gradually becoming an all-comers' affair. “Mediocre, charlatans are gradually taking over the industry and I do not want to continue to work with people that are not trained. I don't really want to be identified with what I am seeing. So I decided to withdraw for three years in order to re-strategise and reposition. What I am actually doing to myself is re-branding, kind of,'' he said. Yemi Solade spoke more on the Nigeria movie industry. When I decided to quit acting, my fans thought it was April fool joke because that decision came on March 31. But then, I did not know what to do than to take my mission to the world and tell the people the problems that have bedeviled my industry, which was why I left. The home videos too have not really helped matters, though there are a few credible people like Mainframe, Tade Ogidan and some young ones who have the ideas that are equally good but are not familiar with the terrain. That is why the corporate world is not showing interest in what is happening in the industry. However, by now, my credentials in the industry should be able to open doors for me both as an academic, artiste and not a raw talent. People like me are few, maybe that is why we are not getting it right. I am still acting, but not like in the past. For God's sake, I'm no snob! I am a free-spirited person. Locations come in different ways. If I got on location and I see my own, what do you expect? I will flow. But you don't expect that in these days, where mediocre actors, charlatans and gate-crashers are all over the place, I go on location, then go into their midst and get disrespected. You'll agree with me, for a man who has been practising this trade for 30 years, I should have a place in the industry whether I' m being labelled a veteran or not. The fact is, I don't go to locations where I don't know anyone and start jumping around. But once I see people that I am down with, regardless of age, I relate with them. I'm a very human, jovial and free-spirited person. Those who say I am a snob don't know me. I don't think I am a snob because when I go on location and can't find someone to relate to, I sit inside my car and busy myself with watching DVDs or lock myself inside my hotel room watching TV. I know 'crossover' means, when a person or thing crosses over from one place to another and is not returning to that same spot; that is crossing over. I won't agree to be labelled a crossover artiste, because I'm not leaving one aspect of acting for another, or leaving one point for another; I'm like a pendulum. I'm an actor that crisscrosses from one medium of acting to another; that definition aptly defines what I do and who I am. As at the last count, I know I have done about 120 stage plays, close to 100 full length stage plays where I played major roles. Interestingly, I started as a major character in a stage play entitled, I'll Marry When I Want To by Ngugi Wa Thiongo. There was one other stage play that was closely tied to that. That was a 45-minute solo on stage entitled, Crazy Youngy, the Traffic Jam Manoeuvrer. I was alone on stage and I did everything. That was in 1980, still at Ife. Nobody believed I could do it because I didn't have much experience.